How Do You Seduce A Woman Who Mistrusts All men? Alexandra Thurston wants revenge. Revenge on the husband who accused her of infidelity and divorced her, tainting her as a scarlet woman. She vows to reclaim her good name and never marry again. But her father wants grandchildren, heirs to his banking fortune and is determined to find her a husband. He has no luck until she finds herself caught in a compromising position with the handsome plantation owner, Connor Manning. Connor Manning loves only one thing, his southern plantation and he’s desperate to save River Bend from the tax man. 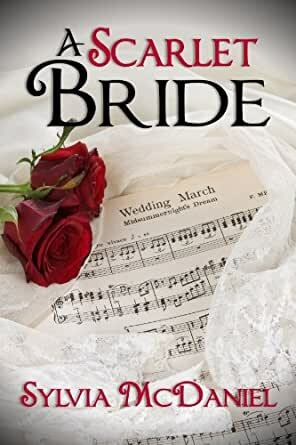 Desperate enough to agree to marry Alexandra for cold hard cash never dreaming that this spirited woman would ensnare his heart, leaving him yearning for a marriage more than in name only--knowing their marriage is based on a terrible betrayal. Alexandra Thurston's opinion of the male species is as tainted as her reputation. Her husband disgraced her when he wrongfully accused her of infidelity, and then divorced her. Running from her shattered life, Alexandra spent five years in England vowing never to trust another man again. Now she's returned to Charleston, South Carolina, at her father's request, determined to reclaim her good name. But when she crosses paths with Connor Manning, the devilishly handsome plantation owner, she soon finds herself unwittingly caught in a compromising position. ... BUT COULD HE WIN HER WITH LOVE? When he promises Alexandra's father he'll marry her for cold, hard cash, Connor's only wish is to save the family plantation. He never dreams that this spirited woman will capture his jaded heart, leaving him with a desire for more than a wife in name only. But he is all too aware that the glorious passion they share is built on the foundation of a terrible betrayal...unless he can convince her to forgive him for wedding her in deceit -- and that his undying love is true. 5.0 out of 5 starswhat a great story! Excellent. Connor & Alexandra. Sylvia McDaniel is an old hand at spinning a great tale. I loved this book. the story moves right along & I couldn't wait to see what happens next. I know this is a book I'll read over again. Alexandra's husband accuses her of adultery so that he can divorce her and marry his mistress. So, Alexandra's reputation is ruined. She flees New York and goes to her aunt and uncles. She meets Connor at a ball where he is smitten with her, and they marry shortly after. They both are guilty of keeping secrets from one another. Problems arise when the secrets are found out. Non-violent. Sensual. I had to remind myself that this novel takes place after the civil war because it read like a modern day novel. Little background and description of clothes plus their conversations were not convincing of that time period. In addition, no red blooded American male would be caught dead serving tea. He was a jerk in the beginning so his playing maid to his wife and aunt was not good. Sylvia McDaniel knows how to write strong woman characters, such as Alexandra Thurston. She can show us how building up walls will only keep us locked up, not others locked out. There is a message in each of McDaniel's novels. This was another good book. Connor and Alexandra , what a mixture of mean people in her life. Sizzles all the way through thus book. I enjoyed reading it. McDaniel is a good author. This is the sixth novel I have read,written by Ms McDaniel. It brought back several memories from my own rake type existence. It really substantiated the need for being. truthful and honest with your spouse and Family.